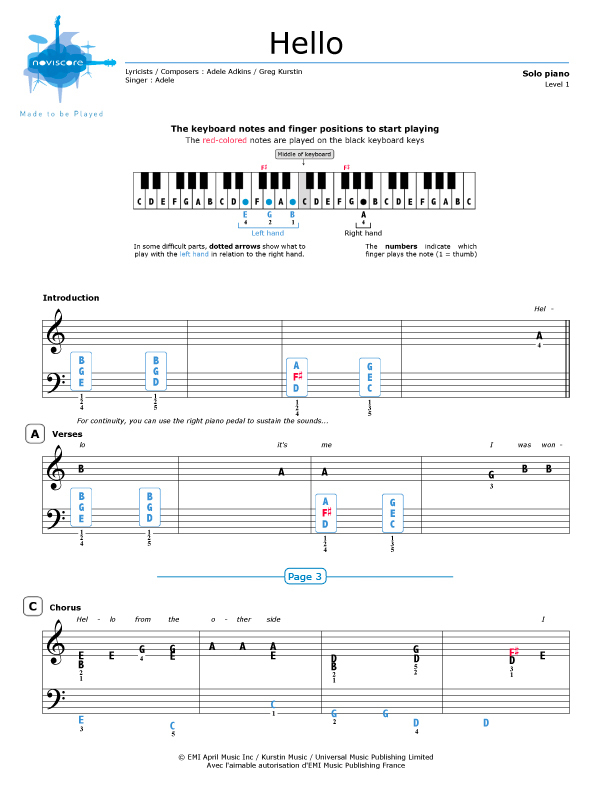 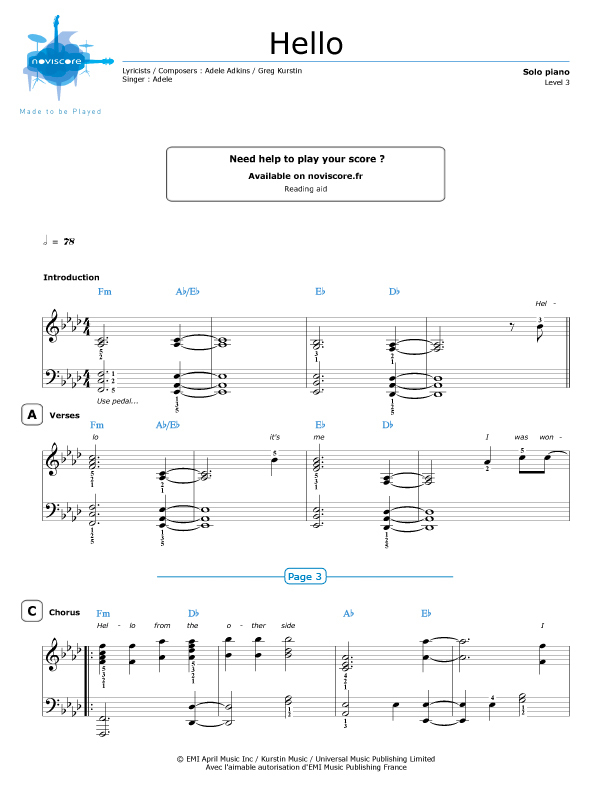 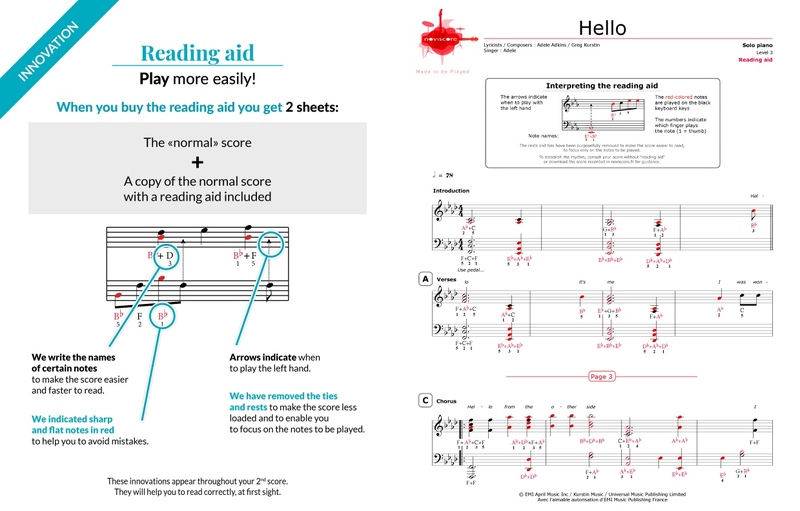 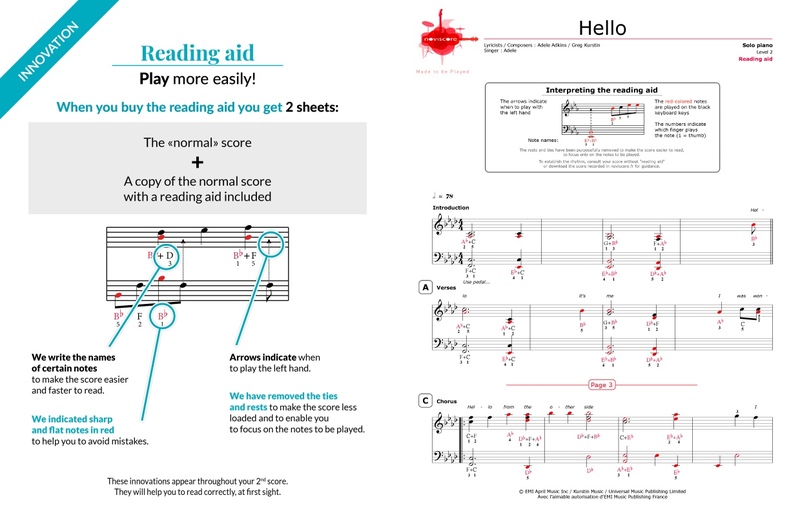 In only a few days, Adele's Hello piano sheet music has become an iconic musical work in our international pop category. 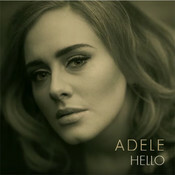 Released on 23 October 2015 as the lead single from her third studio album 25, Hello was co-written by Adele and American producer/songwriter Greg Kurstin. 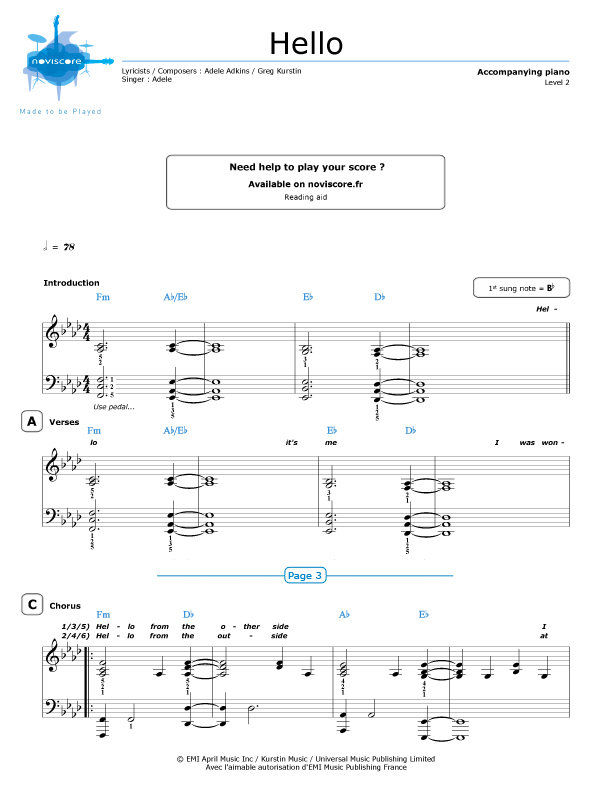 The accompanying music video was directed by Québec actor and director Xavier Dolan. 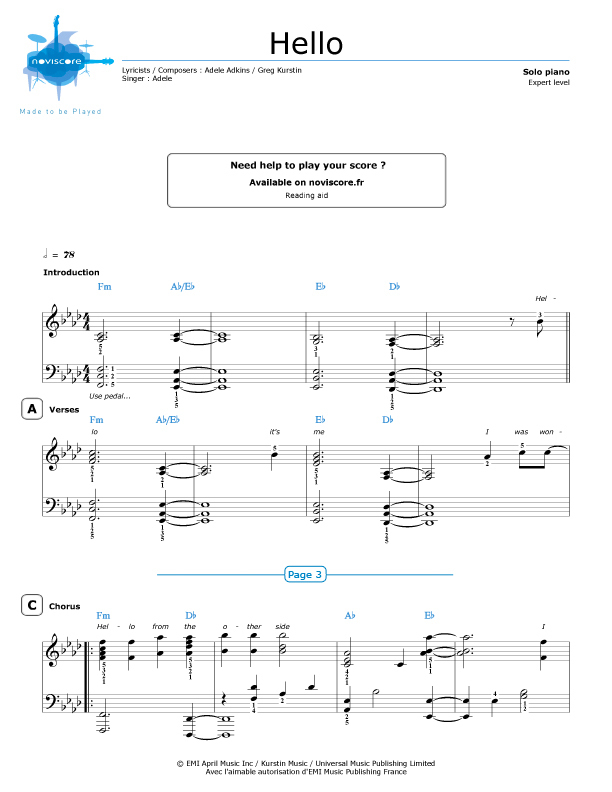 Adele's choice of the piano as the principal accompanying instrument highlights her love of pure-sounding arrangements with resolutely nostalgic overtones. Aren't you longing to try out one of our piano adaptations? 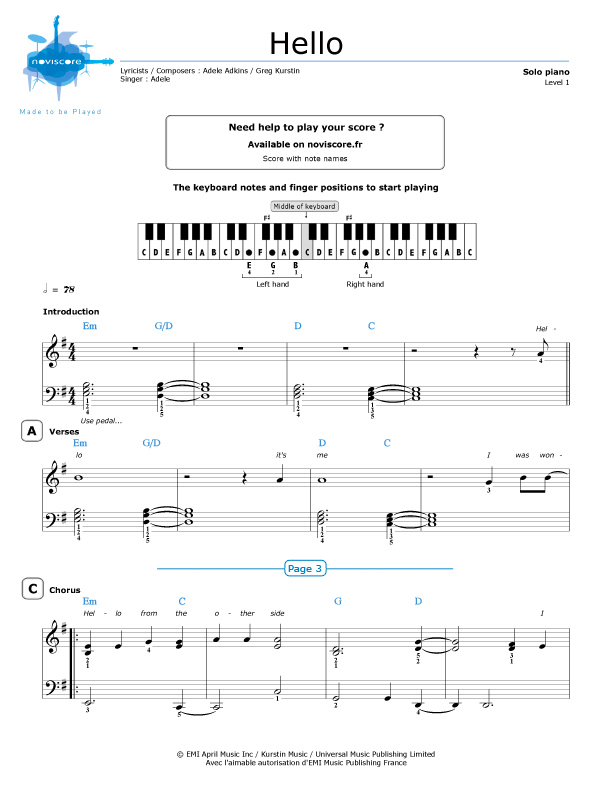 Whether you choose to play solo piano or accompany a vocalist, we are sure you will find the right sheet music for your needs so that you can interpret this new opus from Adele who just keeps on breaking records. 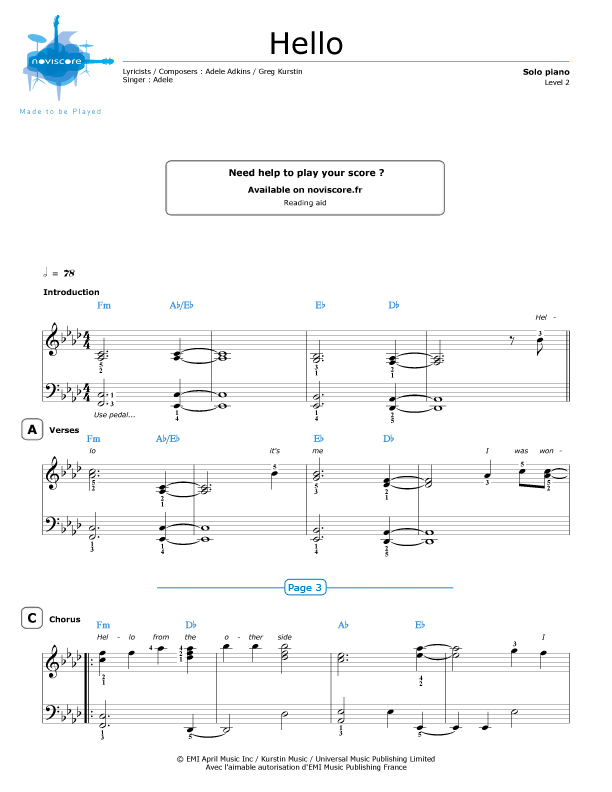 Click here for more Adele piano sheet music on our website.